Face it. Weddings cost a ton but that is no reason to start your marriage off in debt if you don’t have the means to pay for an elaborate affair. Having a small scaled wedding but want the details to remain elegant? 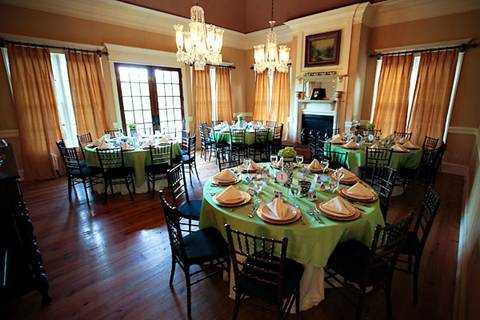 Consider an intimate wedding gathering by booking a bed and breakfast. Book all the rooms to the house (which b&bs typically are……big ‘ol mansions) and if it’s picturesque enough (most have nice pretty yards), have the ceremony there. 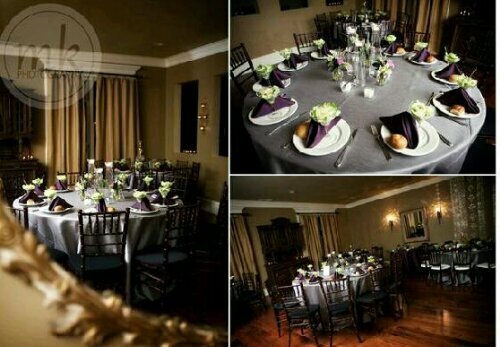 Depending on how far in advance you book, try to book all the rooms in the B&B so that the entire wedding party can stay. Arrange it where everyone stays overnight so that the morning of the wedding you won’t have to worry about rushing to the location site. You also will save money by not having to rent party buses or limos for the wedding party since you all will already be there. If the party is small and there are more rooms, consider booking a room for the hair stylist and makeup artist too since they play important roles in the wedding party look. You may want to eliminate any chance of them running into traffic the day of your wedding. As a thank you, host a Thank You brunch the morning after for everyone if it’s a destination or road trip. Otherwise a brunch for the wedding party is a nice parting gesture. 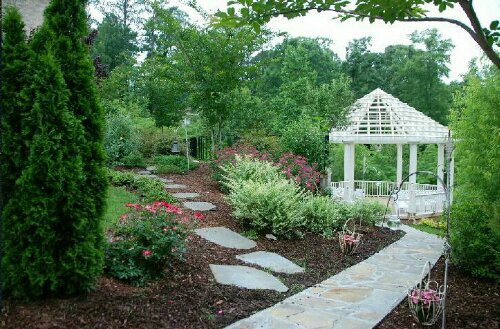 Most B&B’s tend to have a fancier backyard and landscaping. 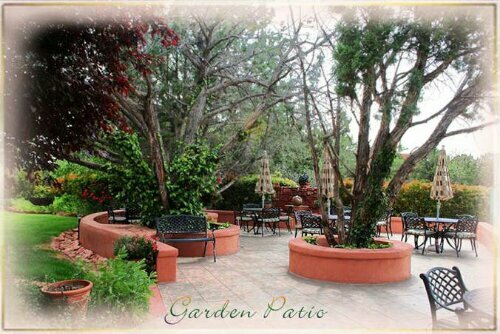 Look for one with fountains, a gazebo, manicured landscaping, pool, rose bushes and flower gardens. The more flowers and already decorated, the less money you will need for the florist. Also if there are benches along the property, you will less likely need to rent additional lounge seating for “cocktail hour” or informal times during the reception. You can also look for a B&B located on a wine vineyard, rolling hills, polo ground (horse back riding would be amazing for picture taking or possibly a horse drawn carriage), ranch, along a golf course or lake. The more beautiful the surroundings, the better. It will make the guests stay that much more enjoyable too. If the B&B is a short road trip away, and the whole guest list is staying in the same place, arriving the day before, you may wish to do something with them as a welcome. You could arrange for various activities to get the families to mingle like horse back riding, golfing, chartering a boat ride or fishing. In the event of inclement weather, make sure the B&B can accommodate the group indoors. Some B&B’s have small ballrooms. Also make sure the B&B you select has private bathrooms. Some have as many private baths as they have rooms whereas others may have shared bathrooms. If the decor isn’t exactly what you want, dimming the lights and having candles line the tables and mantles can create a very romantic atmosphere. 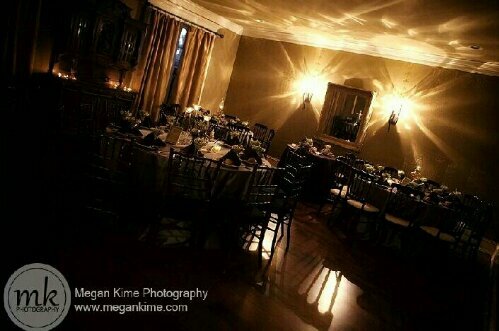 I went to a reception once at a hotel with horrible wallpaper but once the lights dimmed and the uplights were turned on, you noticed the glow of the room and ambience, not the dated look. If opting for a B&B you may want to do something a tadbit less formal like shorter bridesmaid dresses (the less material the cheaper, usually), suits rather than tuxes, etc. If the facade of the B&B is pretty enough, it can be the backdrop for many professional shots. If the B&B has a wine seller, look into seeing if they offer wine tastings and how many people it accommodates. That could also be a fun activity for the bridal party pre wedding. Something like that may only be offered at B&B’s will full restaurants on site. Most B&B’s offer tons of character from wood floors and molding to fireplaces, high ceilings, large windows, chandeliers, grand staircases and more. Be sure to take advantage of these charms by having many professional photo ops. 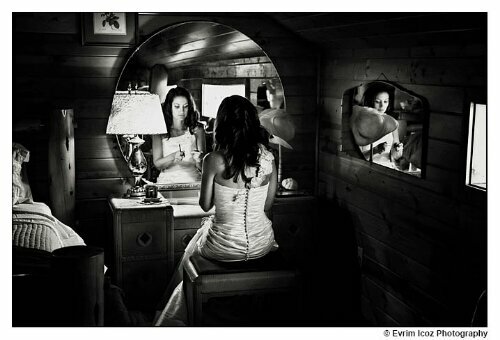 A bride lounging in an old french chaise never gets old. Look for wedding packages. I’ve come across B&B’s with all-inclusive packages like $6,200 for 20 guests and $8,200 for 40. Considering venue is typically the biggest cost factor in receptions, this is a deal especially when the food, music, seating, china, simple décor and linen were all included for ceremony and reception. If having a reception isn’t your thing, you can always consider something quick and small like champagne toasts and cake cutting. 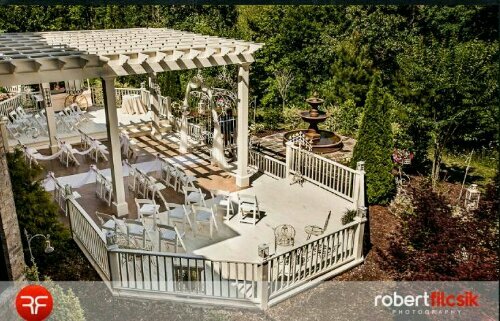 Some even offer afternoon packages for as low as $300 for 10 guest which included champagne flues for a post ceremony toast and usage of their garden gazebo courtyard. But even for 75 guests, that venue was still only $900 for two hours for an afternoon ceremony which included nice chairs, beverages and a fee per guest for cake cutting. 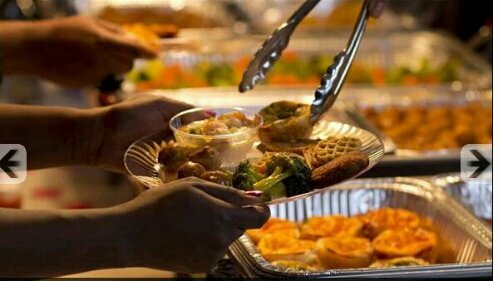 Sometimes B&B’s allow for outside catering or they may be able to provide appetizers for additional costs during this time. I would suggest having the appetizers along with the champagne and then the cake cutting afterward. Maybe even have a projection or laptop slideshow of the couple’s pictures through out the courting years next to a wishing well tree. It will still give you time to thank and mingle with guests and leave your evening free to hop on that plane for a honeymoon saving tons of cash than if you had a traditional reception. 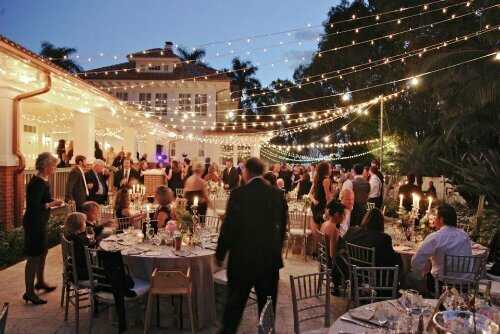 Stringing lights can easily transform a patio space into something magical and festive. The sky will then take the focal point versus centerpieces. Simple candelabras and rose petals would do the trick for tables. 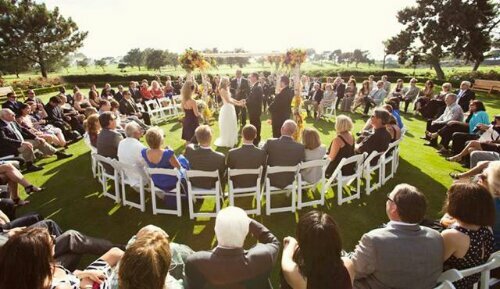 If having the ceremony inside of a gazebo, think about circulating the seating. 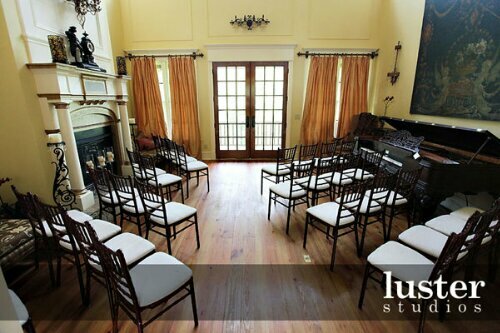 Depending on how far the seats are spaced will determine if the wedding party does a circular walk down the aisle to the center. This would ensure everyone has a good seat. Be sure to check and make sure if DJ’s are allowed on the premises for your reception as I came across one B&B that did not want DJs or a dance floor installed on their property. 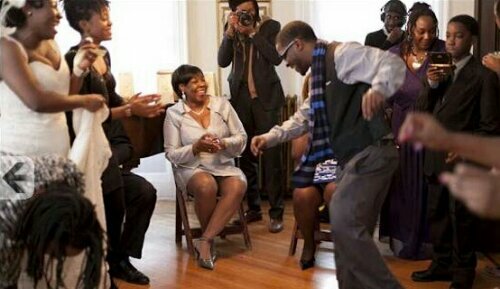 See if the B&B would be willing to move around living room or dining room furniture to act as a dance floor. This would probably only work if the whole house is rented out for your guest party since no other guests would be distracted. Also ask about specifics when it comes down to décor since some may have limitations to what can be nailed or mounted. If the B&B is located in a residential neighborhood with limited parking, you may want to arrange a destination for guest to park and be shuttled to the site. Lastly shrinking guest lists down to even fit in a B&B setting can become difficult. I came across a bride on Intimate Weddings who had her wedding at a B&B and here is how she handled dealing with hurt feelings from scaling down her guests. It is easy to get wrapped up in the “I need to invite everyone or they will be hurt” feeling, but the reality is that everyone just wants to feel included. If you communicate to them how much you value them in your lives and explain to them why you are making the choice to have a small, intimate wedding theywill understand. Everyone cannot be invited to the wedding, but if you remember that communication is the key to any relationship, you will save yourself a lot of heartache in the end. Even with all that, we still had a few guests who were hurt by not being invited to the wedding. Once we found out about this, we immediately contacted them and informed them how much they are loved and that them not being invited was in no way a reflection of how we feel about them. Although feelings were hurt, we resolved it amicably! Have you been to a b&b for a ceremony? Or have tips for small scaled weddings? Please share in the comments.